TD/OMS milestone 3 is dedicated to the introduction of REST API creation. The milestone releases the first version of the TD/OMS Open API specification. 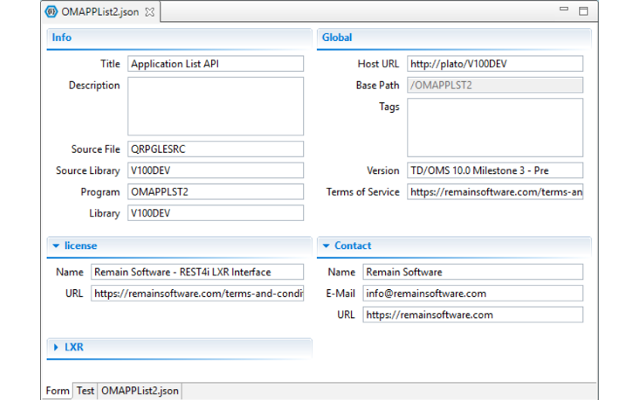 Additionally, the Remain Software development team has integrated OTRS and Explain from PKS. There are many more updates and improvements that are available. The new milestone 3 is created based on customer feedback and current market trends. Thank you for your participation and enjoy our new upgrades! In milestone 3 we introduce the first version of the TD/OMS Open API specification. You are able to generate Open API specifications from your database definitions. The real power comes in combination with the LXR ReST Provider Generator by ReST4i. This module enables you to expose your data through a ReST interface and create the Open API specification contract and RPGLE API in one fluent interface. To generate a provider API, select a file or table from the components view and open the "New" menu to select the LXR Provider API generator. Explore all the possibilities in our Open API Generation Manual. 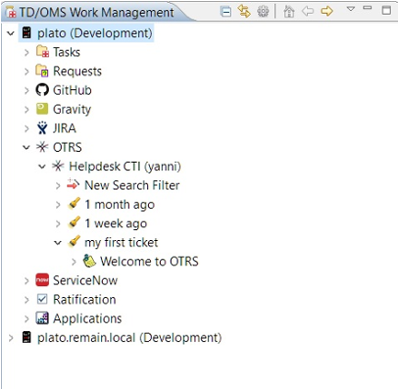 OTRS is now integrated into TD/OMS. You can view your tickets inside the work management view link them to your tasks or requests. This integration provides a high level of convenience for the TD/OMS user that wants to integrate OTRS with TD/OMS change management. Explore all the possibilities in our Framework Interfaces Guide. 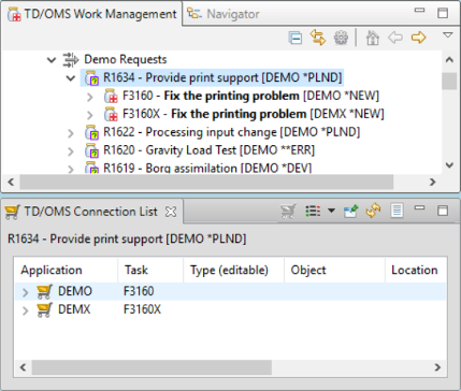 When multiple applications are connected through a request the connection list now shows the connection list of all connected tasks. We have created an interface with Explain from PKS. 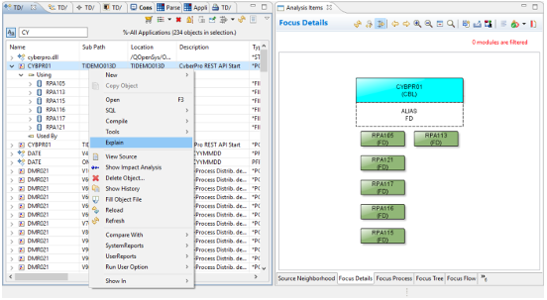 With the interface installed you can jump into Explain from a selected object. From there you can investigate your components with Explain. 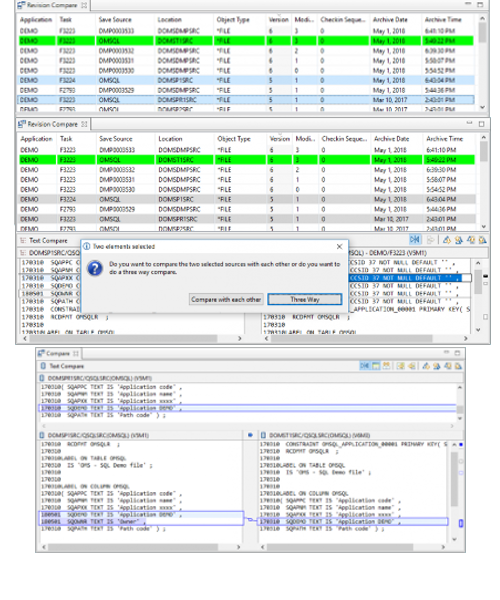 Compare table has a green entry for the object you selected.